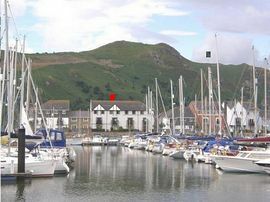 Yr Angorfa has 3 bedrooms (all with en-suite bathrooms)located on Conwy Marina, 1km from the Medieval town of Conwy. The house is set over 3 floors. 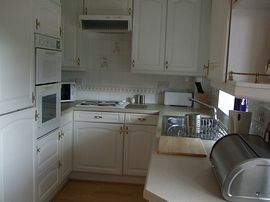 Ground floor en-suite double bedroom. Door to enclosed patio area with marina views. 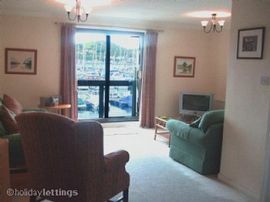 First floor sitting room with balcony and marina views, dining area for 6 (highchair available) and fully equipped kitchen with washer/dryer, dishwasher, microwave etc. First floor en-suite master double bedroom with marina views; twin en-suite bedroom. A short walk takes you to the beach, golf and excellent marina pub restaurant. 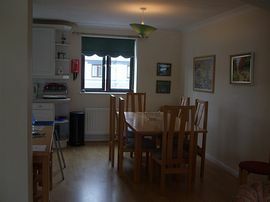 A perfect location for touring North Wales with Snowdonia, Anglesey, Deganwy and Llandudno close by. Waterfront location with marina views. Walk to beach, golf and marina pub restaurant. We have welcomed guests in wheelchairs. Ground floor bedroom with en-suite shower room. Private patio area overlooking the marina. Liverpool or Manchester 120km (1 hour). Conwy or Llandudno Junction 1km. 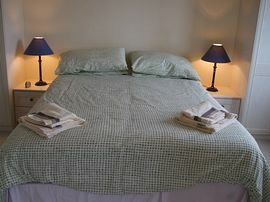 From £395.00 to £945.00 per week inclusive of gas, electricity, linen, towels. We do not charge a booking fee and your dog stays FREE. Short breaks October to Easter from £295.00.